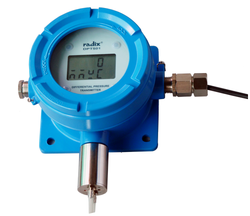 Manufacturer of a wide range of products which include differential pressure transmitter. DPT502 is a programmable, microprocessor-based, 2-wire, differential pressure transmitter. DPT502 can be easily configured for pressure unit, range, etc. The enclosure is flameproof and IP66.